Raw beeswax is a common ingredient in skin products like lip balm, but you may not know that this natural ingredient is also great for your skin and can even help you treat your acne. Beeswax’s natural compounds nourish your skin, keep it healthy, and help prevent blemishes and other skin problems. You can use beeswax to create your own natural skincare products, including using it to prevent and treat acne. 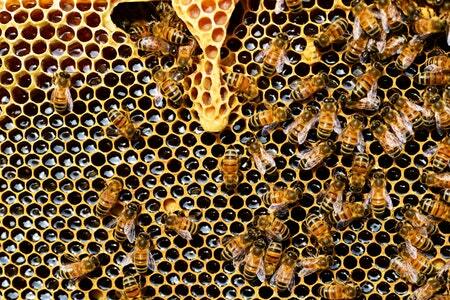 The worker bees of a hive produce beeswax, and it is used to make the honeycomb, inside of which honey is stored. The organic compounds found in beeswax include beneficial acids, polyesters, esters, and alkanes that help keep your skin moisturized, free of microbes, and protected. Harvested beeswax is usually melted, strained, and filtered, leaving a pure product that, when mixed with other ingredients, can treat a variety of skin issues. What are the Skin Benefits of Beeswax? Beeswax is naturally high in several compounds that are known to enhance the look and texture of your skin. For example, this wax is a rich source of Vitamin A. This vitamin is a natural exfoliant which also allows your skin to stay hydrated and aids in the regeneration of skin cells. 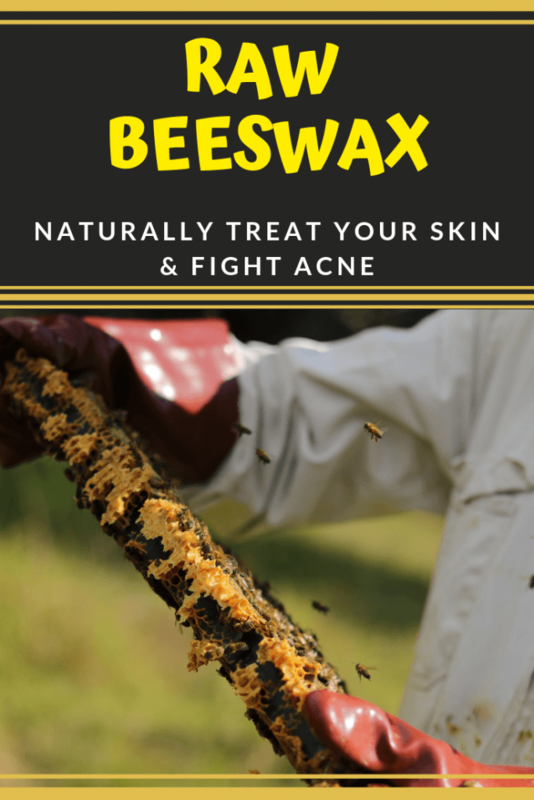 Beeswax also has mild antibacterial compounds which can stop the growth of bacteria and other microbes that can cause skin problems, like acne. Beeswax is also made up of compounds that attract water molecules to your skin, keeping it moisturized and hydrated over time. You can protect your skin with beeswax, as it forms a protective barrier on your skin’s surface. This helps block irritants and environmental contaminants from invading your skin an affecting its health. It does not clog pores, which is why it is great for acne-prone skin. 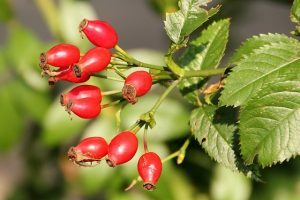 It is also a natural anti-inflammatory, which helps when you have an acne flare-up that has become inflamed. How do I Use Beeswax on My Skin? You can buy raw beeswax to combine with other ingredients to create your own skincare products. 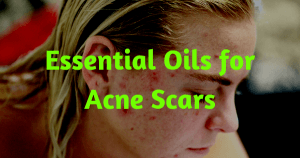 Here are just a few examples of what you can make to treat your acne and take care of your skin naturally at home. Combine one tablespoon of beeswax with one-half tablespoon of extra virgin olive oil and two tablespoons of coconut oil in a saucepan. Heat gently over low heat until all ingredients are melted, then remove from the heat. Add two crushed capsules of Vitamin E to this mixture and stir well to combine. Place into a clean jar and allow to cool. Store this at room temperature and use as an all-purpose moisturizer for your skin. In a saucepan, combine two tablespoons of beeswax, two tablespoons of shea butter, and one tablespoon of coconut oil. Melt this gently over low heat, then remove from the stove. 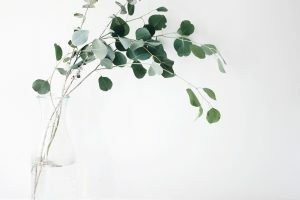 To the pan, add 20 drops of tea tree essential oil, ten drops of lavender essential oil, and six drops each of both rosemary and eucalyptus essential oils. Stir well to combine. While still in liquid form, pour the mixture into lip balm or craft tubes to make it easy to apply, or you can store it in a small jar and apply with your finger. Once cool and set, you can use this on blemishes any time they appear. These are just a few of the many ways you can use beeswax to treat, moisturize, and protect your skin naturally. Beeswax’s natural compounds and emollient properties make it a natural choice for your skincare routine, no matter your needs. Al-Waili N. S. (2005). Mixture of honey, beeswax and olive oil inhibits growth of Staphylococcus aureus and Candida albicans. Archives of Medical Research. Jan- Feb: 36(1):10-3. Wagh, V. D. (2013). Propolis: A Wonder Bees Product and Its Pharmacological Potentials. Advances in Pharmacological Sciences. 2013: 308249.